Why is Harley Quinn a recruit for Task Force X? 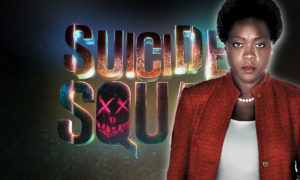 Amanda Waller (Viola Davis) decides to put together a squad of baddies with the intent that they’ll take on meta-human and extra-terrestrial terrorist threats, such as a truly evil Superman type. 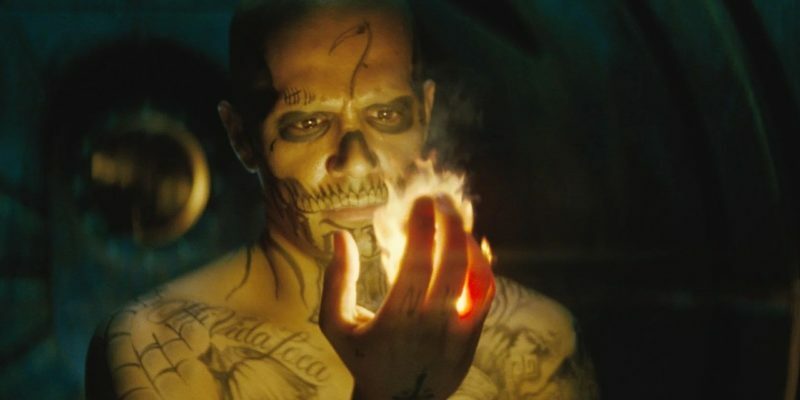 So it makes sense to get some villains with superpowers, such as the flame-throwing Diablo (Jay Hernandez), and others who are great marksmen or skilled at throwing deadly boomerangs or able to to climb anything (except IQ points, it seems). There’s even a monster among the group. 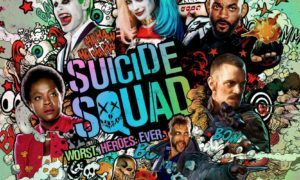 Where does Harley Quinn ((Margot Robbie), a woman with a baseball bat and many screws loose fit in? Regardless, how is it not a concern that her on-the-loose psychopath boyfriend won’t turn up as soon as she’s out and about? Actually, why are any of these people recruited for a task force? Frankly, the very idea of Task Force X is a bad idea, never mind the comic book origins and history there. Sure, there’ve been penal battalions before in real life (not that they were a good or ethical concept then), and fictionally there are acceptable antiheroes sent on dangerous, potentially “suicide” missions, like Snake Plissken in Escape from New York and John Mason in The Rock. But you’re going to let loose a crocodile man who kills a young soldier first chance he gets and a gangbanger who can’t control his fire powers and people who don’t work well with others and just expect them to be a successful team? Who cares about the bomb in their neck keeping them in check. You could just wind up with a bunch of blown off heads and still no mission accomplished. 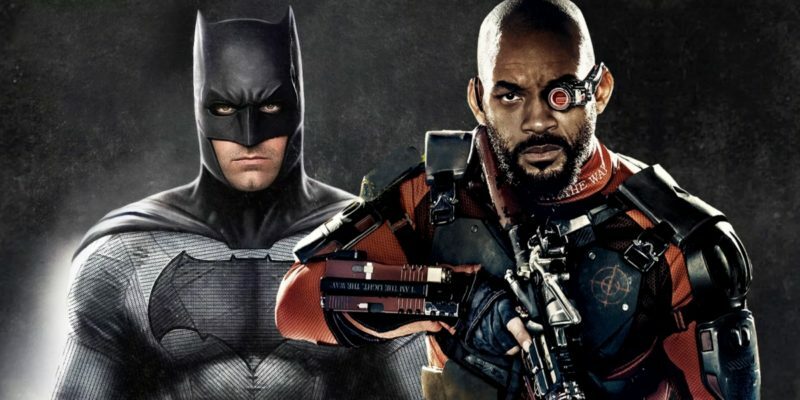 Why give Deadshot his special shooting range moment? Waller knows more about her recruits than anyone else, for some maybe even more than they know about themselves. She’s fully aware of what Deadshot (Will Smith) can do. But she arranges a shooting showcase for him at the prison. 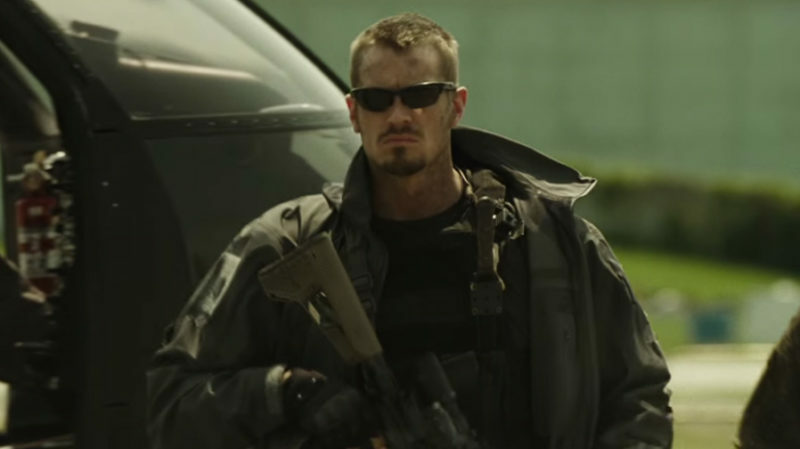 Maybe it’s to prove to Rick Flag (Joel Kinnaman) that he’s worthy of being on the team. Maybe it’s even to see it for herself first hand. But none of the other recruits get such an audition. The scene is clearly just a presentation for the movie’s audience, and therefore it feels too manufactured and too unnecessary. We already had a bit of an introduction to his talents in his flashback. Other than that, show us something during the story that comes about organically to further illustrate how he deserves his nickname. The circus act is a waste of time. Why does Dr. Moone suddenly call the Enchantress out on her own? First of all, who names their daughter June Moone? (I know, she’s had that name for 50 years in the comics.) The situation of Moone/Enchantress (Cara Delevigne) is sloppily explained and depicted. As far as she’s set up, Moone has to call “Enchantress” to allow herself to transform into the witch that otherwise possesses her. And Moone doesn’t like doing it. And she doesn’t seem to ever do it without orders from Waller. So why does she call the witch out suddenly and randomly the one night, allowing Enchantress to go and resurrect her brother? Does Enchantress actually have the power to come out whenever? Why didn’t this happen earlier? Why now, coincidentally just after Waller has begun recruiting for a task force against such supernatural threats? Why are there regular soldiers with Task Force X besides Rick Flag? Forgive me if at anytime during the Suicide Squad’s publication existence they’ve been accompanied on a mission by a bunch of grunts. I’ve been told by a DC fan that it’s not a thing in the comics. And it doesn’t make sense for it to be. You’ve got a top secret mission for which you’ve recruited the worst of the worst villains, and it’s an operation that you expect some of them to die during but maybe will last through longer than normal people because of special abilities and/or lack of certain morals. And their participation is a secret. Why would you have a bunch of regular soldiers, the kind you’re really trying to keep out of this sort of danger — that’s why the super and mad recruits — tag along? Many of them unsurprisingly die during the mission.The rest are probably going to be killed for witnessing the whole op. They’re the true suicide squad. 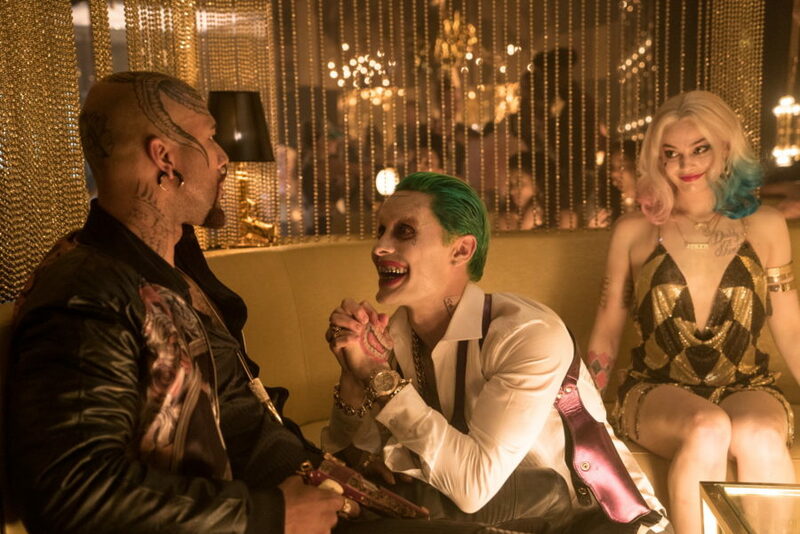 What exactly is the Suicide Squad’s mission? Here’s the most baffling part of the movie, no argument. So Waller sets up a task force of villains to take on supernatural terrorist threats. Then, thanks to one of these recruits, a supernatural terrorist threat actually shows up and destroys much of a major metropolis (but not theMetropolis). The first response is to not send the new task force in, but just one of them and her boyfriend, the military chaperone, and some army guys. They have a bomb. But she jumps ship because she’s in cahoots with the threat. Then the task force is gathered together and sent into Midway City where the threat is. Only they’re not on a mission to take on the supernatural terrorist monster. They’re on a mission to retrieve Waller from an office building? Why was she there? It’s unclear. So who was supposed to be fighting the “terrorists”? If the mission was just for Waller’s extraction, then who or what was supposed to defeat Incubus (Alain Chanoine)? The government seemed to be taking this supernatural terrorist threat pretty nonchalantly. He’s destroying an entire metropolis (but again not the Metropolis), the citizens of which apparently were easily evacuated in no time. There was no military there attempting to take down the weird demigod creature and his minions. Were they just waiting until Waller was safe and then they would nuke the city? Were they hoping all the good super people they had on file would show up and save the day? Superman is dead. Wonder Woman must have been too tired after helping with Doomsday. Same with Batman, who between Superman’s funeral and now has not gotten too busy on finding his team of heroes to fight such threats. And The Flash (Ezra Miller) — who clearly exists as The Flash because he’s shown apprehending Boomerane, despite seemingly not yet a costumed hero in the Justice League trailer — is sitting this one out, as well. Why does Waller kill good men and why is Flag okay with it? 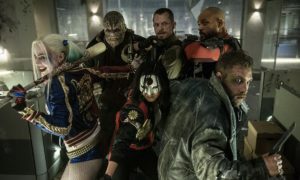 The most surprising scene in the movie has Waller being rescued by the Suicide Squad and executing all the good FBI agents holed up with her on her way out. Why did she do that? It’s all because Deadshot walked in, and he and the others’ being cooperated with by the government is a secret. So they would have been killed either way, because eventually they would have seen the team. Still, it’s pretty cold. And even worse is that Flag says he’s fine with it. But Flag should be an uber good guy. In a way, he’s DC’s Captain America. And if he had been more of a boy scout in the movie, that would have provided a greater contrast against the villains he leads, as he has been in the comics. He and the rest of the Squad are too morally blurred together for the dynamic we should get with this premise. But as for the scene in question, maybe he just realized how badass Waller is and wanted not to get shot, himself? Nah. Why doesn’t Flag just shoot Harley when she makes a run for it? When The Joker (Jared Leto) shows up to nab his love, Harley Quinn, and she’s on the run towards his helicopter, we see Flag trying to blow her head up with his remote-control device. He keeps refreshing the head-exploding app over and over but neither he nor anyone else just thinks to simply shoot her. The device is great for if one of the Squad really takes off and is out of range or is climbing a building and it’s easier to just press a button. But Harley runs right by Flag and Waller and a number of other soldiers who could have easily taken her out. It’s like they forgot that real weapons exist. Also, is Deadshot the only guy who could have shot her once she was hanging from The Joker’s helicopter? The escape was too convenient in a way that was clearly informed by the movie’s need to keep her alive rather than by any logic within the movie’s story. That’s poor writing and even poorer direction. Why does Enchantress do nothing while the Squad fights Incubus? When the Squad first arrives on the scene where Enchantress and Incubus are doing whatever they’re doing with that portal in the sky that has been lit up for a while with seemingly no purpose, she initially takes on the antiheroes with her magic and her fantasy implants. But when her brother takes over as the main baddie to battle, she basically just stand by and watches and does nothing, even when Diablo increases in size and power and while Incubus looks primed for defeat. This isn’t a video game. Villains don’t have to be fought one by one. But that’s more difficult to plan out and execute. Plus it’s hard to tell if Enchantress even wants to succeed. Later, after Incubus is gone, instead of easily disarming the weapons that take out her portal (which itself seems too easy), she keeps trying out her persuasion tactics. Why is Incubus defeated by bomb but not flames? The physics of superhero movies and magical characters are difficult to comprehend and so often futile to question, but when it comes to climactic defeats of villains, you sometimes want to kind of know what happened for the heroes to succeed. What exactly about shooting explosives inside of an inter-dimensional portal causes it to shut down? Why exactly is Diablo unable to defeat Incubus with his hellfire-level flames but a bomb directly underneath the supernatural creature can take them both out no problem? Was it a special kind of bomb for paranormal entities that can’t be killed by any other means? Why does Batman need Waller’s files on meta humans? Unlike the direct correlation between Man of Steel and Batman v Superman, this movie is difficult to discern in terms of its chronology in the franchise. I presumed it was going on as Bruce Wayne/Batman (Ben Affleck) is still off attempting to form the Justice League. Especially when we see The Flash in costume. But then there’s that mid-credits scene with Wayne meeting with Waller, acquiring files that must somehow be more helpful than those he saw in Batman v Superman and telling her that his team will make it so she doesn’t have to use the Squad anymore. What had he been doing until then? Not successfully apprehending The Joker, who was on the loose since he gave Batman the slip in the river, that’s for sure. Not helping to fight another supernatural monster terrorizing a city, that’s for sure. Maybe still “working nights” fighting smaller-time hoods.